Audi's dominance of Le Mans in the early 2000s was complete. While winning the greatest of endurance races was never as easy as it looked from the outside, the Audi team in its various guises romped home every year from 2000 to '14, aside from solitary wins for Bentley ('03) and Peugeot ('09). Could it have been different? Well, maybe. With one or two better decisions and a slightly larger budget, Audi's winning streak could have been stopped before it really got started. Toppled by a tiny team running a tiny car, the MG-Lola EX257, which came about because of a chance conversation. Martin Birrane, the Irish-born owner of Lola from 1997, told the story shortly before his death in June: "The car came about following a meeting I had with Alain Bertaut, who was the vice president of the Le Mans organiser l'Automobile Club de l'Ouest at the time, at Sebring. "I'm standing looking out over the paddock with him, and he turns to me and says, 'I wonder why no one has ever done an LMP675 car?' And I said that, well, I'd been around motor racing for quite some time, and if I'd never heard of a 675 car, then probably no one else had either. And what is a 675 by the way?" The LMP675 moniker referred to the weight of a potential alternative prototype category at Le Mans - smaller and more lithe than the front-line LMP900 big bangers, but crucially not so slow that they couldn't potentially win. LMP900 cars were allowed more power and wider tyres, while LMP675s had the advantage of being 225kg lighter. 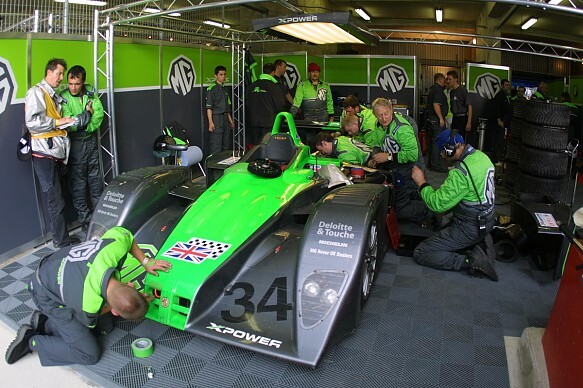 With MG looking to get back into motorsport and talking to Lola, Birrane sensed an opportunity: "The car that weighed 675kg, assuming you could get it down to that, was going to be allowed the same tankage, 90 litres of fuel. If the car was capable of lapping within eight seconds of the P900 cars, then they would dead-heat, theoretically. "So I said, 'I'm going to see when and if I could use that'. He wouldn't tell me, but I always assumed it was a category designed for maybe Peugeot or Renault, or one of the French teams that they were trying to tempt to come in, who didn't want to spend the money on the top category." Money would become the defining element of the tale of this particular car, but at first it seemed that Birrane and his team at Lola had created something truly special. The initial work was done at Cranfield, before moving to Lola's current windtunnel and vehicle R&D centre in Cambridgeshire. "The car was designed in-house at Lola," added Birrane. "It was far from being ordinary, it was what we called a little jewel. A ground-breaking jewel. And you can see that as soon as you look at it. [Designer] Frank Dernie had a lot to do with it. He allowed others to take the kudos for it. These guys are artists really, they can see and reach further." But the jewel was about to be hitched to a millstone of an engine, thanks to a fateful deal with a resurgent MG. Sold off by BMW, once Munich had decided that nothing could make the Birmingham-based carmaker profitable, MG Rover as the company was then known was, supposedly, on the comeback trail. It had created a new and sporty range of hatchbacks and saloons based on existing Rover designs, and was looking for various ways in which it could promote both brand and product. 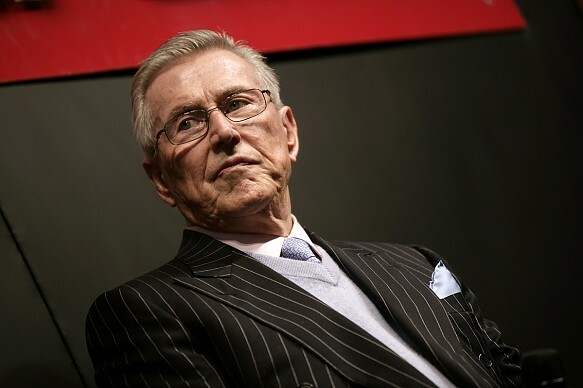 "I had an MD [David Bowes] at the time who was ex-Rover, and Nick Stephenson, MG's chief engineer, contacted him to invite Lola to join with Mayflower, the pressed-steel tier-one supplier, and we were already collaborating with them on a potential road car," said Birrane. "But, the MG people insisted their marketing department led Nick. He was a knowledgeable engineer, and I was pitching the programme to him, but in the background they were insisting that we had to use an MG engine, even though they really didn't have the capacity to make the right engine. "They decided to tender out for the engine, and I said, 'Why are you going to waste all that time and money when it therefore won't be a proper MG engine anyway?' They did it all the same. Cost them £2.5million or something, out of my budget by the way, and the worst thing is that there was an engine that would have done the job reliably. But unfortunately this new MG engine was our Achilles' heel the entire time." Though there is some debate about the alternative options for the powerplant, for which Advanced Engine Research was contracted by MG, one possibility Birrane pointed to was a Nissan two-litre engine. "That Nissan engine, which was the one we should have gone with, was tried and tested," said Birrane. "It had about 20-30bhp less than ours, but that would have been neither here nor there in the scheme of things. Reliability was all that was needed. "It's not that it was a four-cylinder engine, either. We actually got to within five seconds of the big cars. If you look at the timing, you'll find that the times of the MG-Lola were almost with the Audis, and we only had to be within eight seconds to get there. "It was more MG not wanting to put their name on another engine. It was a known engine, that Nissan one, although some modifications could have been done - it could have been hijacked a bit by the engine builders, but it was still the base that they started with. That was still the base engine, that they changed, and did lots of unreliable things, which were intended to deliver more power. "And then when it didn't work they had to bring the turbo back, bring the boost back. It was probably on similar power at the end, when it was going. But too much of the time, it wasn't going. It was on the sideline." 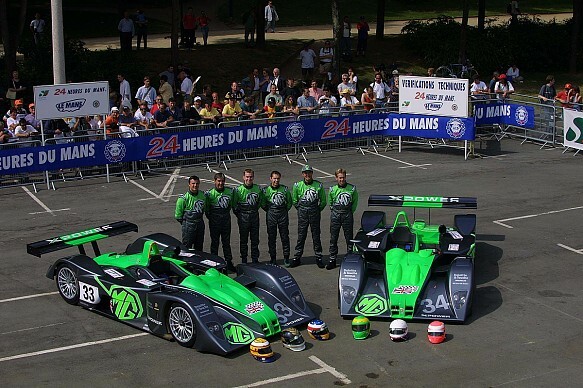 Still, spirits were high when the Chamberlain Motorsport team arrived at Le Mans in 2001. The cars were decked out in a striking green-and-black colour scheme and, better yet, they were a delight to drive. The driver line-up for those two chassis was a collection of nascent and established British talent, including Anthony Reid, Warren Hughes, Jonny Kane, Mark Blundell, Julian Bailey and Kevin McGarrity. Reid still waxes lyrical about the car. "The MG-Lola was probably the best racing car I've ever driven. It had tremendous aerodynamics, probably thanks to their experience of racing in Indycar," he says. "So that led to fantastic handling, which then gave you tremendous confidence. "The car was light, the power-to-weight ratio was high, plus they were working very closely at that time with Michelin, so the tyres helped the performance too. We traded lap times with Audi. 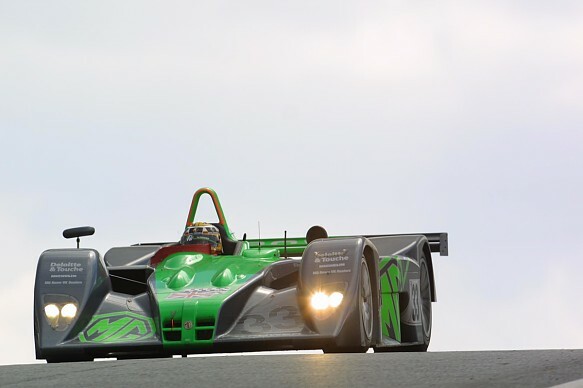 The car could run as quickly as the LMP900s." That was when the rest of the pitlane sat up and started to take notice of what, up to that point, had looked like a flag-waving publicity stunt for MG.
"The other competitors didn't take us seriously at all," reckoned Birrane. "They started taking us more seriously when they saw the lap times. Because, without even trying, the car was so far over what was needed for winning pace, against the other cars. "They had a huge crowd of people waving MG flags and signs, we sold out of all the gear and clothes, there was a huge response to us in the crowd. "Bentley was there, of course, with Richard Lloyd, and he was being interviewed and was asked how great it was to have two British marques back there, and he tried to say something about all the Brits being there to support Bentley. And of course I piped up with, 'I wouldn't be so sure about that Richard...' It was a nice little sparring match." There was competition between the drivers, too. McGarrity grabbed the MG-Lola drive as a lifeline for a career that was struggling to break through to the big-time, and wasn't going to let himself be intimidated by bigger names in the squad. "We were testing at Spa ahead of Le Mans," recalls McGarrity. "And I think Mark Blundell was determined to be the fastest guy in the car at the test. He was quick, no doubt, but I saw the lap times on the readout afterwards and I was actually quicker than him. We still had to say that Mark had been the fastest, though..."
The 2001 Le Mans was horrendously wet, which also helped the lightweight car against the big LMP900 runners. The EX257s quickly moved up from their 14th and 17th starting positions, but the result was a bust, perhaps not surprising given that the cars had only been up and running for about a month beforehand. Blundell briefly got up to third overall before water got into the electrics during the night and engine issues eventually put both cars out. "The concept of the engine was fantastic - a turbocharged two-litre with 550bhp," adds Reid. "Whether it was budget or the wrong engine builder was used at the time, the combination of those factors meant that it just wasn't reliable enough. The chassis was strong enough and the team was great, but the engine and the drivetrain, the gearbox, were the weak points." Le Mans the following year should have been so much better, particularly after more work on the engine. 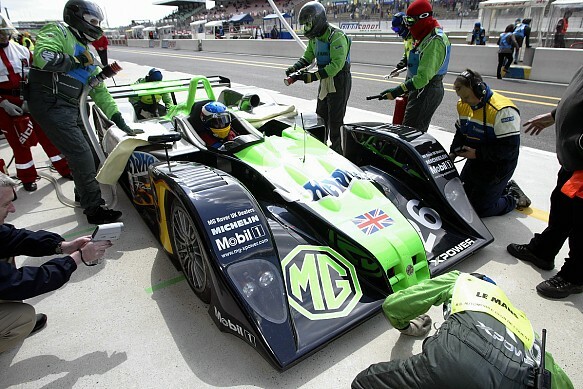 The MG-Lola squad returned, this time with more sponsors on the car, but actually even less money in the team coffers. "It became clear, towards the end of the first year - and we had a three-year contract, because that's usually how long it takes to mature a design and get it winning - we realised that they wanted to get out of the deal," said Birrane. "It was a nasty old set-to. They [MG] didn't break the contract, but they did roughly halve the amount that we had to run the team with. That caused its own problems. "We could have succeeded in the first year, if we hadn't been tripped up by the insistence on having the in-house engine. I think it was seven months we had for the whole programme, and we managed to do the work." 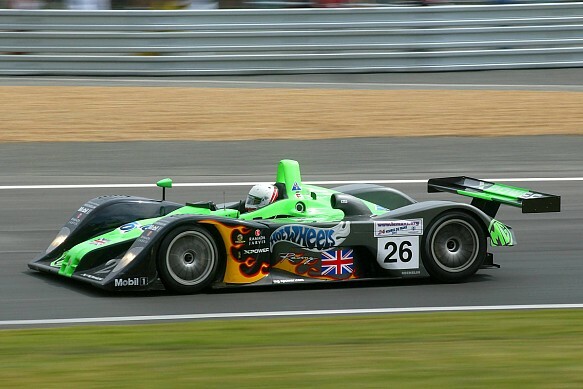 The cars qualified sixth and 12th at the 2002 Le Mans. Reid could see that the lack of cash was holding the team back, but frustratingly could also see the chassis was good enough to beat the best that Audi could do with the R8. "I remember in 2002, I got into the car just before midnight. As I came around past the pits to complete my first lap of the stint, I could see ahead of me, about 200 yards, an Audi, which had just come out of the pits" says Reid. "So I set off to try to catch it up, and did so over the course of several laps, and I could see that it was Tom Kristensen. "Immediately, you could see the strengths and weaknesses of the car. We were probably about 5mph slower on the Mulsanne Straight, but in terms of braking, and acceleration off the slow corners, we were quite a bit superior. In the fast corners, we were equal to the Audis. Overall, at that moment, we were quicker than the Audis and running third..."
Reid/Hughes/Kane were still in the battle for a podium position when the transmission failed just after one-third distance, while Blundell/Bailey/McGarrity retired with a broken engine following a gearbox change. "It really was a lot of fun," Reid nevertheless recalls. "The directors of MG Rover, the Phoenix Consortium, part of their remit was having fun. I liked the sense that we were an all-British company, all-British drivers, we enjoyed ourselves. "I suppose secretly, at the back of our minds, we were thinking that the budget wasn't enough, that there hadn't been enough development, not enough spent on reliability. Look at Audi at the time, they would run five 24-hour tests over the winter, but we did take the fight to them in terms of speed, and put on a great show." But it could have been greater still. There are many tales of unfulfilled potential and near-misses in motorsport, but the EX257 unquestionably had the right elements, as was proved a year later. With the MG deal foundering, Birrane started offering the car, with back-up from AER on the engine side, to privateers. 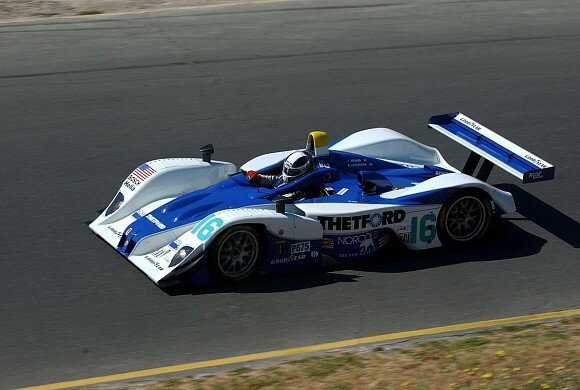 Dyson Racing took up the offer and at Sears Point's Grand Prix of Sonoma American Le Mans Series round in 2003, James Weaver and Butch Leitzinger made good on the Lola's promise by finally beating the factory Audis (below). It wasn't a 24-hour race, and it wasn't Le Mans, but for Weaver it felt pretty good to win in the American Le Mans Series. It was the first ALMS victory for an LMP675 machine, as Joest's R8 driven by Frank Biela/Marco Werner and the similar Champion car of JJ Lehto/Johnny Herbert were outpaced. "When we first got the MG-Lola, that car enabled us to compete against the Audis," says Weaver. 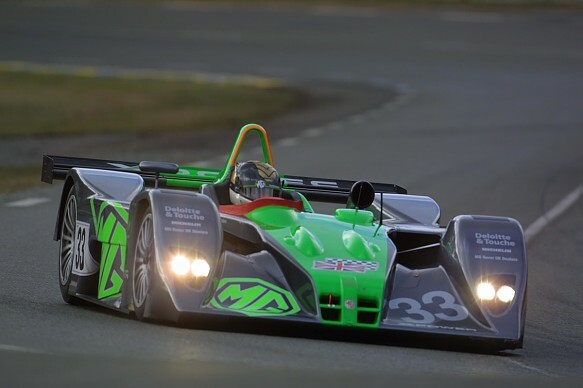 "For a small, private team to go up against Audi was an extraordinary achievement on Lola's behalf. "We'd been getting better and better, and Sears Point is in Sonoma wine country, so it's beautiful around there. The track itself is fabulous because it follows the contours of the land and it really suited our car. Butch had put it on pole and we were quickest in the morning warm-up. "In the race, the Audis were really strong, but they started getting pickup on their tyres – they were running Michelins. I think Johnny Herbert stopped because he thought he had a puncture. "But we were on Goodyears and as the race wore on, we were getting more and more competitive and we got past the lead Audi in the closing stages. And we were able to hold them off to take the win. The tyres really tipped it in our favour that day." It wasn't the last victory either. 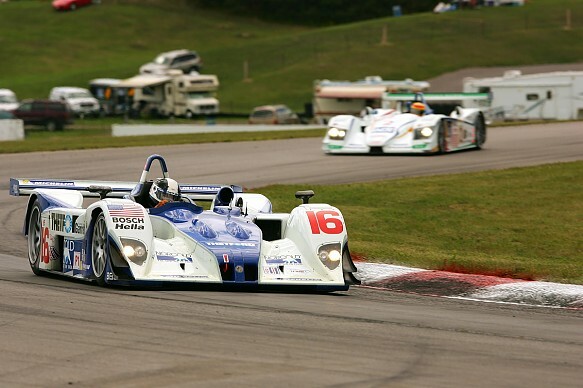 Weaver and Leitzinger won again at Mosport in 2004, then Mid-Ohio and Mosport in '05 (below) – more than four years after the car's rushed debut. The last word goes to Birrane: "Speak to anyone you like and they will tell you what a jewel it was. No other car that we made lived up to it, and that was nearly 20 years ago."